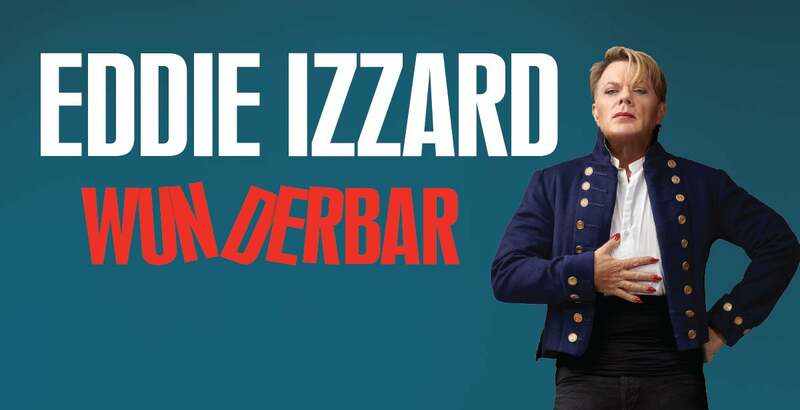 A unique, totally surreal view of life, love & history, WUNDERBAR is a delicious insight into the surreal and fantastical world of Eddie Izzard. Five years after his last comedy tour FORCE MAJEURE made comedy history, having played 45 countries including all 50 US States (and in four languages) making it the most extensive comedy show ever, Eddie is back to his roots with an all-new show that expands on his own very unique, totally surreal view of life, love, history, and his ‘theory of the universe." This is intelligent bunkum of the highest order! It's about everything from humans over the last 100,000 years to talking dogs and animal superheroes. "The funniest man, in, well, pretty much all of the known universe."